From cross-country skiing, snowboarding and ice skating in the winter to swimming in lakes, golf swings and fishing in the summer, there isn’t a season in Minnesota where you won’t spend time outdoors. Roseville brings the wow-factor during the winter months with ice skating at the Guidant John Rose MN OVAL, the largest outdoor refrigerated skating facility in North America. When spring/summer rolls around Roseville is ready for the biking season with 67 miles of trails and walkways to enjoy. For over 50 years, Afton Alps has delighted the Twin Cities’ families as one of the Midwest’s premier winter destinations. With nearly 300 skiable acres, 48 trails, 18 lifts and four terrain parks, there is enough terrain to challenge experts to beginners, day or night. 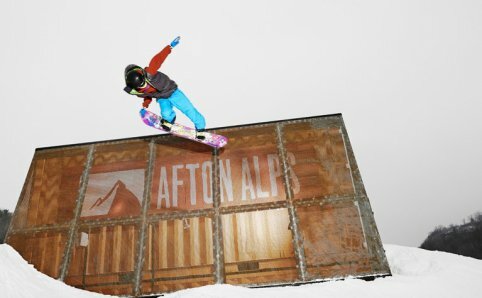 Accessible, affordable and fun, this big-time resort with a small-town feel has converted thousands of first-timers into lifelong skiers and riders, and now with the opportunity to take that passion to Vail Resorts’ iconic western mountains, Afton Alps is truly the place where epic begins. 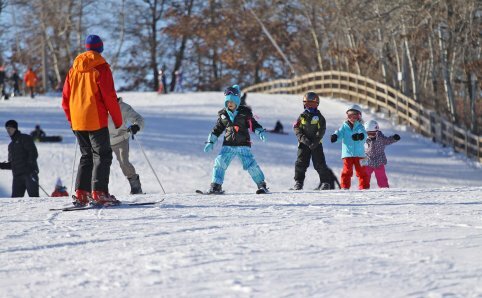 Serious winter fun is what it’s all about at Buck Hill! 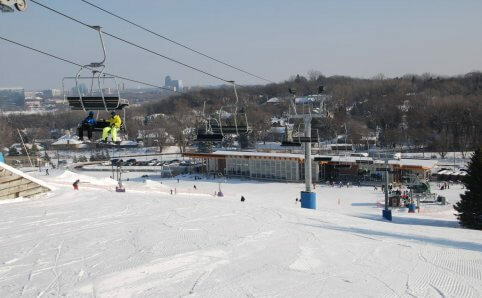 Buck Hill offers skiing, snowboarding and snow tubing within 15 minutes of either downtown Minneapolis or Saint Paul. Day or night, weekend or weekday, Buck Hill is buzzing with excitement. Buck Hill features the longest magic carpet in the USA featuring a covered bridge over another trail, making learning to ski and snowboard easier and more exciting than ever. 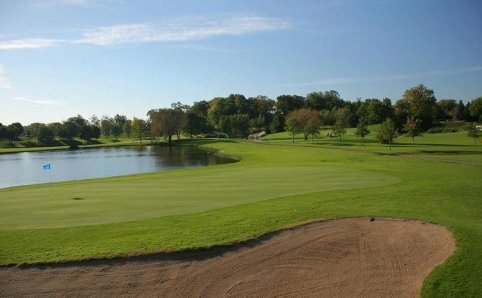 The Como 18 Hole Golf Course is nestled behind the historic Como Park Zoo & Conservatory. Como Park Golf Course is a shorter, sporty course that is a fair test for the average golfer. There are not many straight putts on these rolling, well-bunkered greens. Water hazards and elevation changes add to the subtle challenge and beauty of this layout. The clubhouse provides a full service bar and quality food service. 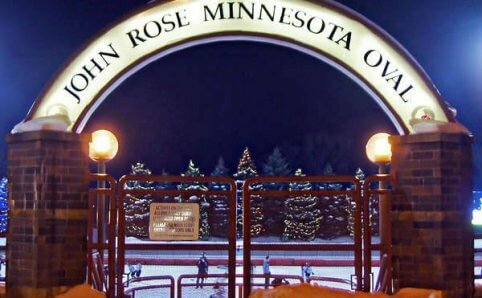 The Guidant John Rose MN OVAL is the largest outdoor refrigerated skating facility in North America with 110,000 square feet of refrigerated ice from November to March. The OVAL has a 400-meter speed skating track surrounding an infield ice area used for hockey or bandy. The OVAL is also used for inline skating and hosts an aggressive skate park from May to September and has hosted events such as World Cup Speedskating, World and National Bandy Championships, and Aggressive Skating and Biking competitions. See how the OVAL gets ready for the outdoor ice skating season. 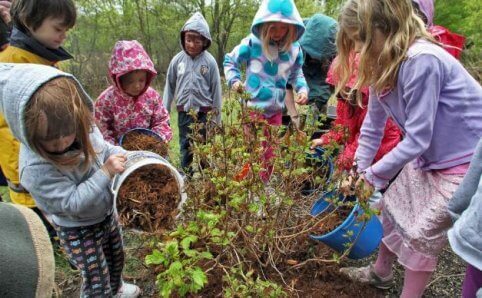 The Harriet Alexander Nature Center is an oasis nestled within the borders of Roseville’s Central Park. On the grounds there is a boardwalk and trails that circulate through 52 acres of marsh, prairie and forest habitats. Come explore the marsh on the new boardwalk sections which are linked to the older sections, making for a nice long double loop. Winter sports enthusiasts love Hyland Hills Ski Area. Located within Hyland Lake Park Reserve, Hyland Hills is the place for downhill skiing and snowboarding in the metro area. Their terrain park is full of progressive and innovative features and they are known for some of the best snow making and grooming in the Midwest. 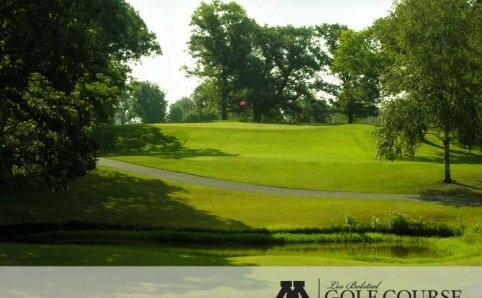 Open to the public and located in Saint Paul, the Tom Vardon-designed University of Minnesota – Les Bolstad Golf Course is a classic style throwback … weaving its tree-lined path through the history of Minnesota golf. Legends like Tom Lehman, Patty Berg, Louis Lick, Karen Weiss and Les Bolstad have navigated their way around its tight fairways, ancient trees and elevated greens. 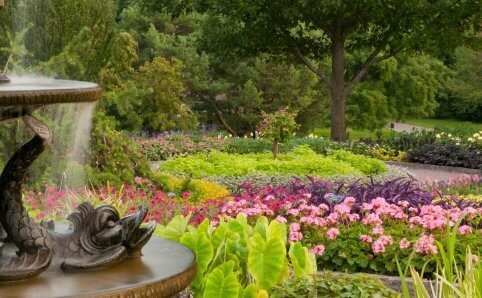 The Minnesota Landscape Arboretum features more than 1,000 acres of magnificent gardens, model landscapes, and natural areas-from woodlands and wetlands to prairie-with extensive collections of northern-hardy plants. Tour the Arboretum on 12.5 miles of garden paths and hiking trails. Walk the close gardens and bike, walk or drive Three-Mile Drive to see more gardens and collections. 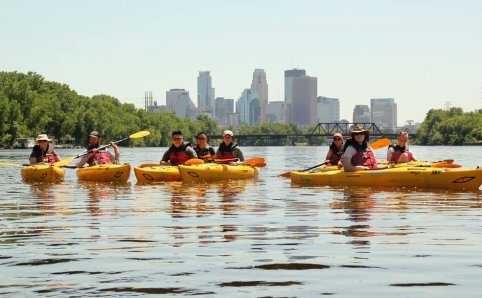 A new and exciting recreational and transportation opportunity for people who have some kayaking experience, don’t own a boat, and want a safe and enjoyable river experience. This is a first of its kind in a national park and in the country. The National Sports Center is the world’s largest amateur sports and meeting facility. 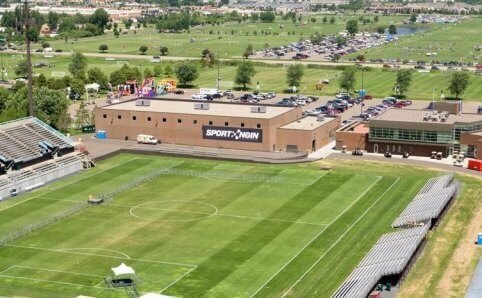 The NSC campus operates over 100 unique programs and events in a variety of sports as well as hosting numerous national and international competitions annually that in total draws over 4 million visitors a year.